Leonardo Wilhelm DiCaprio (born November 11, 1974) is an American actor and film producer. His first role was on the sitcom Growing Pains, but his breakthrough film performance came in This Boy's Life. This was quickly followed by What's Eating Gilbert Grape; his performance as the mentally handicapped brother of Gilbert (Johnny Depp) brought him nominations for the Golden Globe and Academy Award for Best Supporting Actor. 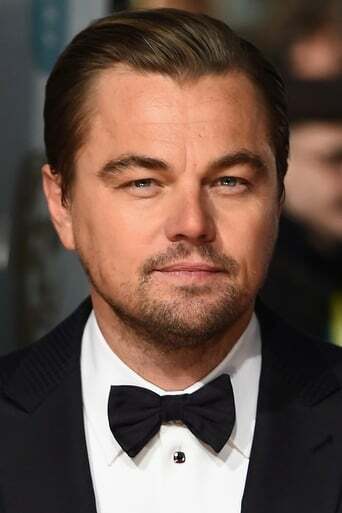 He gained fame for his role as Jack Dawson in Titanic, and has starred in many other successful films including Romeo + Juliet, Catch Me If You Can, and Blood Diamond, for which he was nominated for the Academy Award for Best Actor. Another Academy Award nomination came for his role as Howard Hughes in The Aviator, directed by Martin Scorsese. He has also worked with Scorsese in Gangs of New York, The Departed and Shutter Island. This working partnership brought comparison to the earlier working relationship between Scorsese and actor Robert De Niro, who also benefited from roles in Scorsese films early in his career. DiCaprio has also been nominated for two BAFTAs, three SAGs, and seven Golden Globes. He is a Golden Globe and a Silver Bear winner.